Since British colonisation, the wild and sprawling terrain of Western Australia has seemed almost synonymous with gold mining. With so many of its townships created through, and in aid of, gold mining operations, the image of early tough-living colonial prospectors is deeply embedded in its identity. It was 1885 when Charles Hall discovered alluvial gold in the Kimberley region, triggering the first gold rush. Prior to this, the state’s economy was based on wheat, meat and wool like much of the rest of the country. But the history-changing gold find in the Kimberley was just the beginning, with further gold discoveries across the state during the following five years including Marble Bar, Southern Cross and Yalgoo. With each discovery, more prospectors were born, eager to find the same success and uncover more of the land’s gold potential. The next resource-rich region to be revealed was the Norseman region, with its own gold discovery. This time, the story goes, a horse named Norseman turned up a nugget at a camp site of some gold prospectors, and that’s how the region got its name. The Norseman find was followed by the Murchison goldfields discovery not along after. Through the early years of the WA gold rush, mining towns such as Abbots, Barrambie, Big Bell, Day Dawn, Garden Gully, Peak Hill, Pinnacles, Reedy and Munarra were born, based entirely off the treasure to be found underground in these areas. Then in 1892, William Ford and Arthur Bayley happened upon a major discovery nearby modern-day Coolgardie — the discoveries made at this time is what gave the town its unofficial title of ‘the Mother of Western Australian goldfields’. Ford and Bayley happened upon more than 500 ounces of gold at a place called Fly Flat. It is said that without Coolgardie, WA’s ongoing mining boom may not have come to fruition. The momentous Coolgardie discovery triggered even more interest and momentum for the state’s gold rush, and precipitated the world famous discovery at nearby Kalgoorlie. By the late 1890s, over a third of WA’s population was living in this region, known as the Eastern Goldfields. Today, WA is still known for the abundance of cash and jobs made possible through prolific mining in the region. At present, there are over 40 active gold mines in WA including big producers like the Telfer mine in the Pilbara, the Jundee gold mine in Wiluna and the Kalgoorlie super pit gold mine. In 2017, Kalgoorlie Consolidated Gold Mines Pty Ltd (formed in 1989) poured its 60 millionth ounce of gold. With plenty of explorers still searching the state’s exploration hotspots, it’s hard to see an end in sight for WA’s golden run. 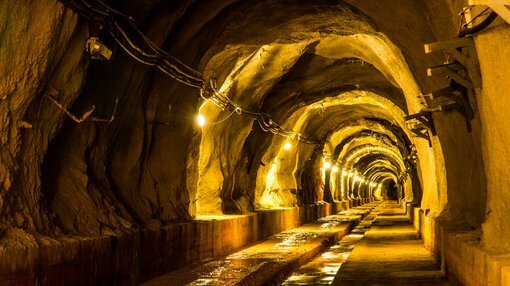 ASX small cap Classic Minerals (ASX:CLZ) holds three different gold projects in the Eastern Goldfields, in the same area that also includes the prominent mining towns of Southern Cross, Fraser and Norseman. The Perth-based junior is searching for gold across all its tenements, with a particular focus on its flagship Forrestania Project — an advanced asset with an existing JORC Estimate of 5.36 million tonnes of gold at an average grade of 1.39 grams per tonne for 240,000 ounces of gold. However, CLZ remains a speculative stock and investors should seek professional financial advice if considering this stock for their portfolio. CLZ recently announced its latest RC drilling program had unearthed high-grade gold, with assays confirming a new gold discovery at the project’s Van Uden West prospect. Some of the most compelling results included 12m at 5.75 g/t gold from 59m including 1m at 25.60 g/t gold from 59m. Interestingly, the Forrestania Project is situated in the resource-rich Southern Cross Belt — known to host in excess of 10 million ounces of gold. Any significant discoveries made by small players in this belt could spark a shareholder Eureka moment, given the well-documented potential of the area. Beyond Forrestania, CLZ has two other plays: its Fraser Range and Kat Gap projects. The Fraser Range Project is just 40km to the north east of unlisted mining giant Sirius Resources’ Nova deposit on the Fraser-Albany Mobile Belt. CLZ holds a 28km strike, has identified 19 conductors across the tenement and made two key discoveries so far. Kairos Minerals is another looking to make its name in the Plibara. KAI’s primary focus is its Mt York project which adjoins the $1.5 billion capped Pilbara Minerals’ (ASX:PLS) world class lithium and tantalum project, as well as the $673 million capped Altura Mining’s (ASX:AJS) lithium deposit. Just last week KAI announced an increase in Mineral Resources at its Pilbara Gold project from 258,000 ounces to 643,000 ounces gold. Finfeed covered this JORC Mineral Resource update extensively and the forward momentum for the $34 million capped company is continuing at pace. Just yesterday, the company credited with reigniting the Pilbara gold rush, submitted a programme of works with the Western Australian mines department to launch extensive drilling, trenching and bulk sampling at its Comet Well West conglomerate gold project. ARV has identified 67km of potential gold bearing conglomerates associated with the Mt Roe Basalt contact. Comet Well is immediately west of the $949.2 million capped Novo Resources’ 6km long conglomerate gold project. ARV until recently sold its stake in Canadian joint venture partner Novo Resources Corp to Kirkland Lake Gold for $20.7 million, boosting its already substantial cash reserves of $17 million and allowing it to fund continued exploration and development of its conglomerate gold and base metals projects in the Pilbara. So far this year, ARV has recovered 3.595 kilograms of gold since metal detecting began. The $126 million capped Artemis’ shares were up 0.5c, or 2.6 per cent, to 19.5c on the back of the news. The news from the Pilbara just keeps coming, with the $76 million capped De Grey this week reporting shallow broad high grad zones from recent drilling. The company has thus far completed 3,168 meters of RC drilling across 58 holes at its Mount Berghaus, with more holes underway. “The numerous high-grade intersections together with the discovery of new parallel lodes and extensions to existing lodes, augurs well for future resource increases,” said Technical Director Andy Beckwith. It is still an early stage stock, so investors should seek professional financial advice if considering this stock for their portfolio. These positive results follow on from news that DGO Gold bought 25 million shares of the company. The money will go towards DEG’s continued exploration efforts in the Pilbara. Back in the early years of WA gold mining, prospectors had a lot less to work with than even the most small scale modern day explorers. It was way back in 1864 that one surveyor, Charles Hunt, made four trips into the Hampton Plains in WA, leaving strategically positioned watering points along the track. Basic access to water was a considerable challenge to overcome and resulted in the creation of the Goldfields Water Supply Scheme between 1896 and 1903. It is still in use today, acting as a pipeline to deliver potable water from from Mundaring Weir in Perth to communities in the Eastern Goldfields, particularly Coolgardie and Kalgoorlie. It provides water to over 100,000 people in over 33,000 households as well as mines and farms. A modern gold explorer operating in Australia’s ‘Wild West’ now has the benefits of well- established infrastructure and far more technology to achieve the same outcome: to strike gold, but using new tricks. With these modern day advantages in its corner, WA-based gold explorers have a list of prerequisites already sorted and a leg up to take advantage of a generally positive macro gold environment: one that teases gold production rises to record levels this year.